Say you have a 10 inch Android tablet like the Google Nexus 10. You just might not be happy with the YouTube experience on the larger screen. Well, Google is trying to accommodate you and has issued an update for the streaming video site that includes a new UI for 10 inch tablets. The new interface includes the Android Fragment layout first seen with some Honeycomb applications. This allows two independent windows to open for the app. The smaller window on left is used to navigate the app and allows you to make selections, with the content-in this case the video you've selected-playing on the right. 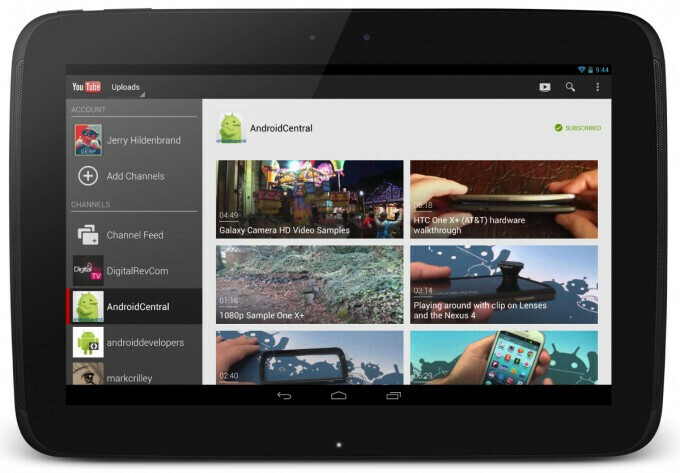 While the update certainly helps those with a 10 inch tablet more easily select the video they want to view, it also repairs bugs on all devices that have been affecting the app. Earlier this month, Google launched a new YouTube app for iOS that takes advantage of the larger screen on the Apple iPhone 5 and the Apple iPad. 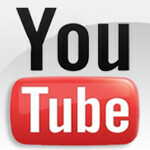 You can find the newly updated YouTube for Android app at the Google Play Store where it is a free download. Looks cool. I guess Google is trying to combine phone and tablet ui so people who have android phone and tablet can use both easily. I love it on my nexus 10. Thank you Google. Finally!!! It was kind of ironic for Google to release the YouTube app with iPad support and not do the same for their Android tablets. And as usual, us people in the middle (8.9 inch) get forgotten and no one gives us info if we get th 7 inch or the 10 inch UI's.